Any citable source for the 1s recording, like DCrainmaker or TomTom site? table at the bottom of the review shows a recording interval of 1 second. This shows the activity has an elapsed time of 5:06:21. 18381 seconds. team1.kml managed to save the GPX files directly from this account before the activities were deleted, but unfortunately that only saves the lat/lons and excludes any timing data. However, the file for this activity contains exactly 18382 lat/lon points. Clearly it's 1s recording. We were only missing the start time, and we can get a pretty good estimate of that from the OpenTracker data, or surrounding activities. Perfect thanks for the 1s cite and the math. I'm sure some of yall already have looked, but unfortunately this run doesn't show up on tomtom screenshots. screenshot here. http://i.imgur.com/azj3NpI.jpg. On this one you can also see the 2.81 mile run barely visible at the bottom. This run should be between them. These are details of the team1.kml tracker data associated with the beginning point of each of Joanna's and Rob's initial uploads. Note that a lot of Rob's are still up but that some have been removed. The next guy who attempts a record like this needs to get LetsRun to sign on as a sponsor, and he needs to hire some of you guys for his support team to to take charge of his data recording! In fact, I'm wondering if any of you know an ultra runner we could recruit to take on this record. Looking at the math it does seem doable (not for me, but for someone!). We could all get behind this person and help him or her do it the right way! Just a thought. What does this mean for Dustin? If they decide Rob was cheating, that means their employee was complicit. In that case I'd expect a very public sacking of Dustin. Let's sponsor Joe Fejes or that blind ultrarunner! Michael works for SKINS, not Dustin. 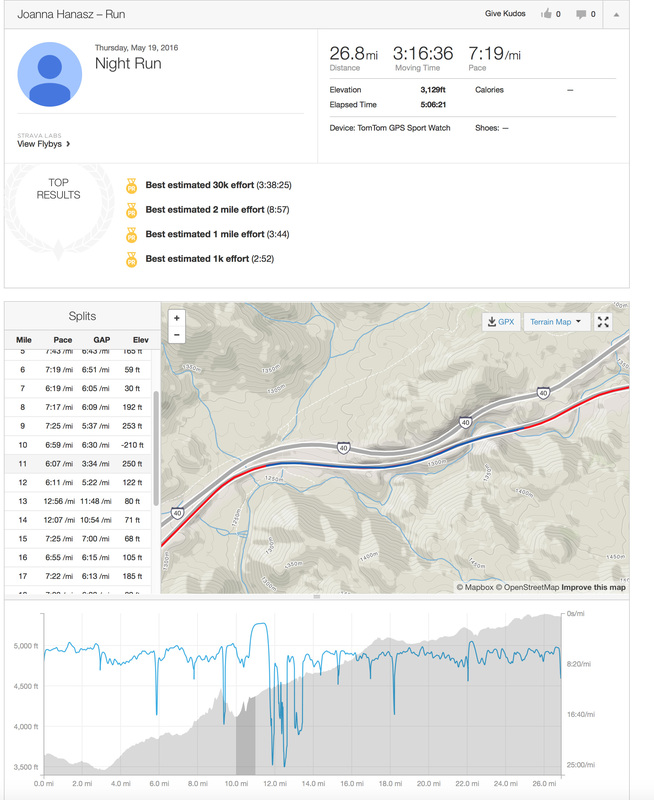 I suggest these posted to a brand new strava account to avoid confusion with existing data. As someone suggested, once these are posted, we can crowd-source the actual start times of these. It wouldn't be too much work to add the closest matching tracker endpoint to these records. Dustin isn't a SKINS employee, he has his own business and is Rob's fellow East Sheen resident, book ghost writer, media and data manipulator amongst other things. Also, re the copying of the Serpentine stuff, the Serpentine Club are well known around the Sheen and Richmond Park area and for the late legendary Frank Horwill who probably wrote that training advice which was copied from the Serpentine running site. Maybe your summary should be emailed to the whoever wrote the guardian article, and others. There needs to be a follow up to the original story. It ain't over until the fat lady sings. Oh yeah got my buffoons mixed up. Please now answer with Michael Sphincter in place of Dustin. The point is that Rob and his team still claim the record attempt was run, not RV ridden. And Rob is still being sponsored by Skins and is planning future challenges. And we haven't got the outcome from Skins CEO Jaimie Fuller's independent investigation into the record attempt. I was looking through the Strava Details tab of your spreadsheet, and trying to match the runs with my tracker/tomtom spreadsheet. 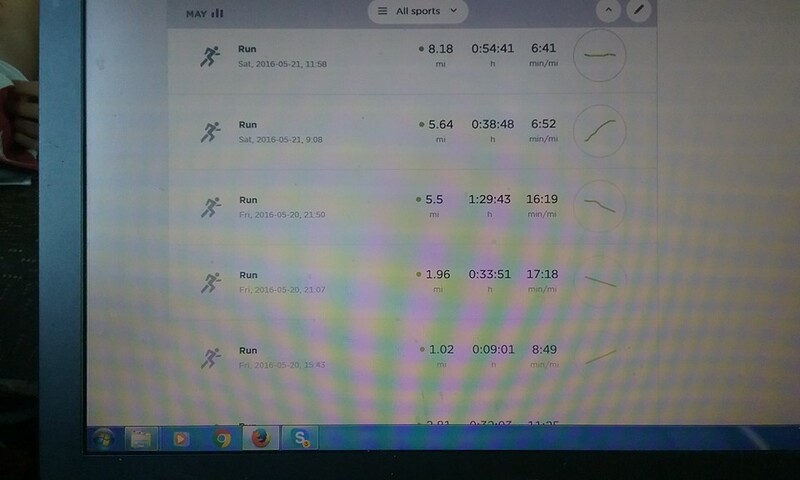 I noticed this strava run (https://www.strava.com/activities/619872022) seems to match the last tomtom screenshot on this image (http://i.imgur.com/recBBqD.jpg) based on elapsed time, but Strava is giving him .2 more miles. Anyone have an explanation? I guess we shouldn't dash their dreams but it ticks me off that this guy is pulling this over on people.